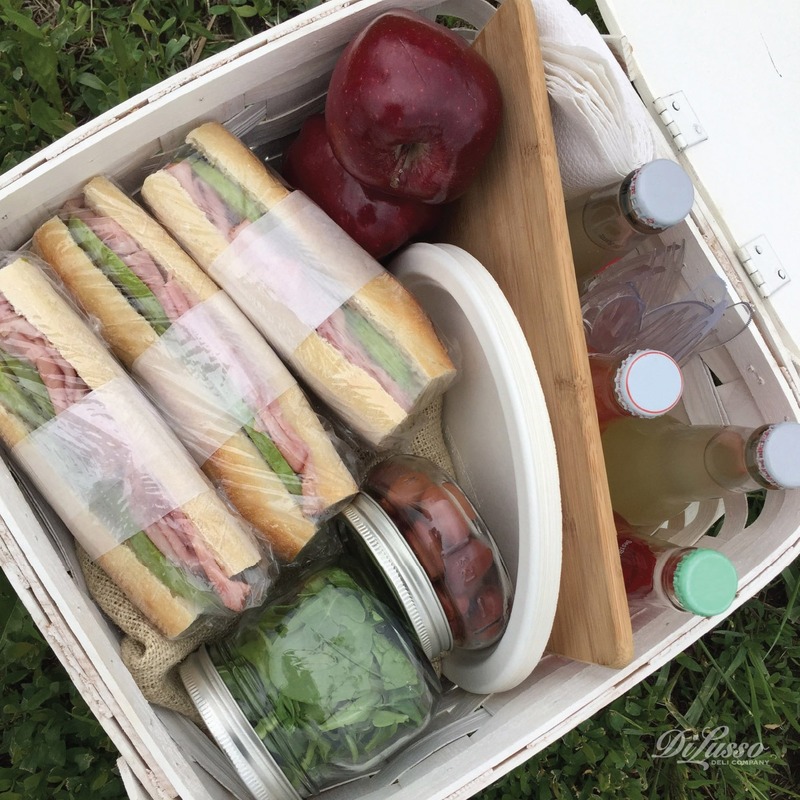 Summer picnics always feel so festive. There’s something about being outside, on the green grass or warm sand or a secluded picnic table in a park, that makes the food taste extra delicious. And with a little planning, you can have the best-ever picnic with foods that are packable, tote-able and, most of all, taste great. And while a grocery bag, an old blanket and paper plates can do the job, why not plan ahead and create a picnic that’s extra special? Picnics and sandwiches go hand in hand—but think beyond the everyday variety. 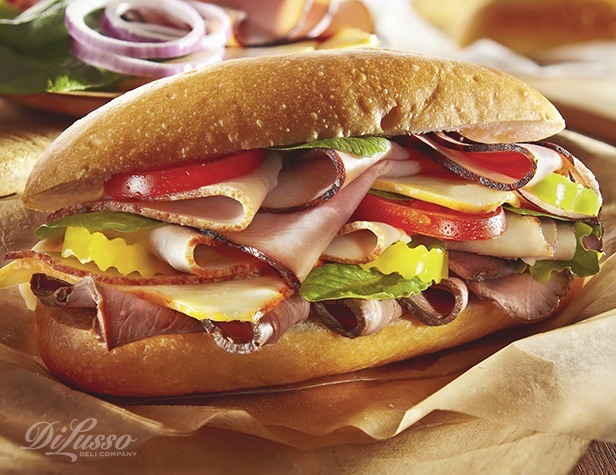 Think crusty bread and luscious meats and cheeses, like our classic mustard-dressed Hero Sandwich filled with Oven Roasted Chicken Breast, Seasoned Roast Beef, Muenster cheese, tomatoes, and tangy bread and butter pickles. Wrap them tightly in plastic wrap or parchment paper. Wraps, like our Ranch Club Wrap, are easy to make, and the wrapped format helps keep the ingredients where they’re supposed to be (the ants won’t be happy about that, but you will be). Blend 2 tablespoons Dijon mustard and ¼ cup softened butter. Spread mixture on one side of a baguette that’s been split in half horizontally. 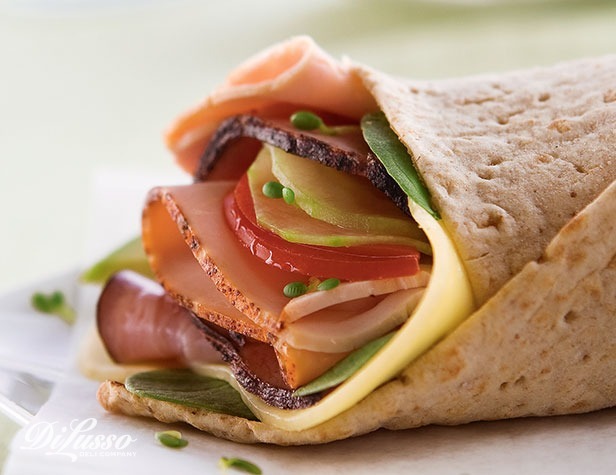 Place ¾ to 1 pound of DI LUSSO Virginia Ham along the length of the bread. Top ham with 3 ripe avocados, sliced. Sprinkle lightly with sea salt and place the other half of the bread on top. To serve, cut into individual-size sandwiches. What else to pack? We recommend easy-to-stow, handy-to-eat “kabobs” of fresh veggies and cubed cheeses. Slice watermelon into wedges and insert popsicle-stick “handles.” A portable salad in a jar would be another great addition. Make a batch of our Dijon Deviled Eggs, and use an empty egg carton to carry them in. For dessert, brownies, cookies, or bars are ideal. More ideas: instead of plastic serveware, use the real stuff. If you don’t want to pack the spoons and forks you use at home every day, consider investing in an inexpensive set just for the picnic basket, or scout out vintage items—a purposely mismatched set can be utterly charming. Wrap a set for each person in a cloth napkin and tie with string or ribbon. Shatterproof acrylic plates in festive colors and patterns are widely available; if you’re going to use paper, how about bypassing the standard white for something colorful? In place of an old blanket, consider using a vintage tablecloth or colorful patchwork quilt, or straw mat. If the ground is damp, put plastic sheeting or a shower curtain underneath. Now all that’s left to do is hope for perfect weather!